Every occasion is a good reason to rent a catamaran in Marseille: : a family holiday, a romantic getaway, a birthday, a company seminar. In any case, renting a catamaran can only be an outstanding experience, especially from the beautiful city of Marseille. 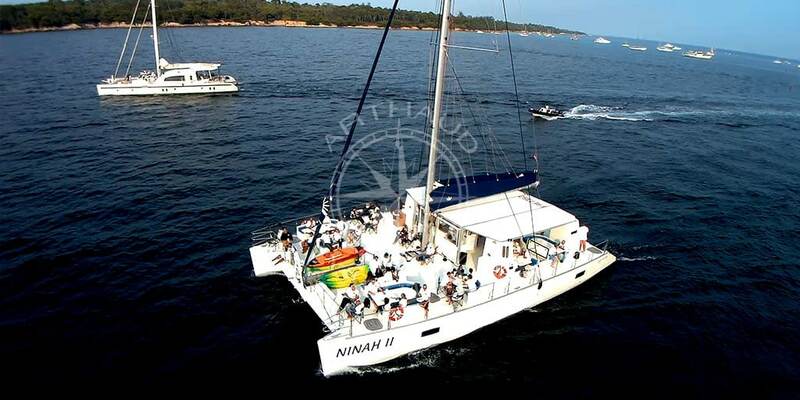 Rent a catamaran for a few hours or a few days, for an event in large or small groups and live a unique and magical experience and above all an unforgettable one. 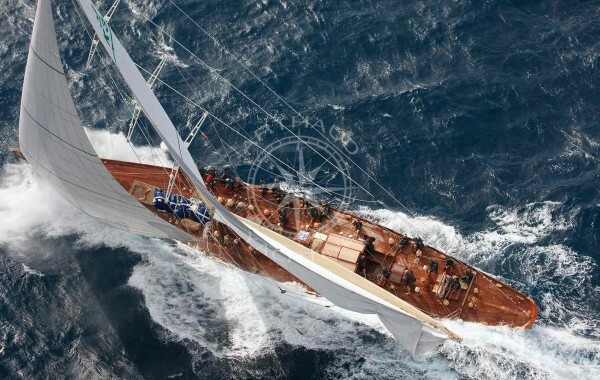 Would you like to have lunch or dinner on-board? At quayside or offshore? We will provide a menu, agreed together according to your tastes and desires. We can also organize a getaway with a meal or a cocktail on a private beach. 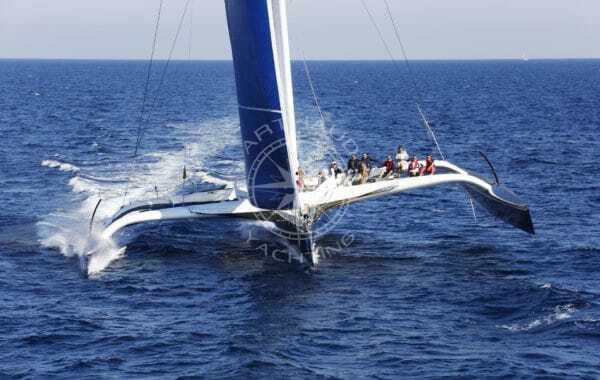 If you intend to rent a catamaran in Marseille for a seminar or for other professional reasons, all the services and arrangements will be made to welcome your employees. 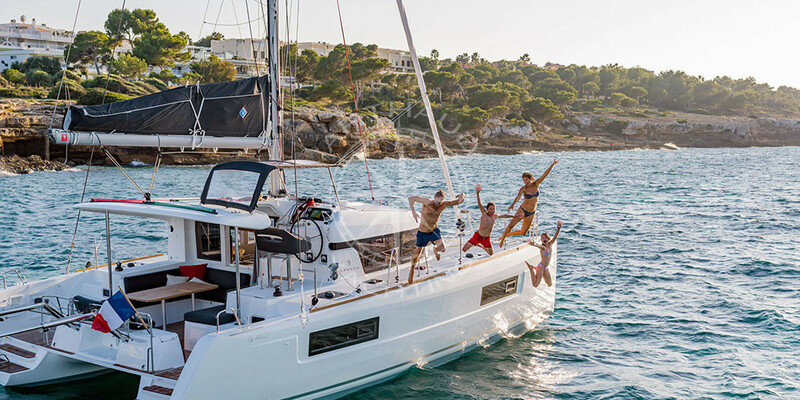 Renting and privatizing a catamaran in Marseille is the assurance that everything that will happen onboard will be the result of what you have chosen to offer to your guests. 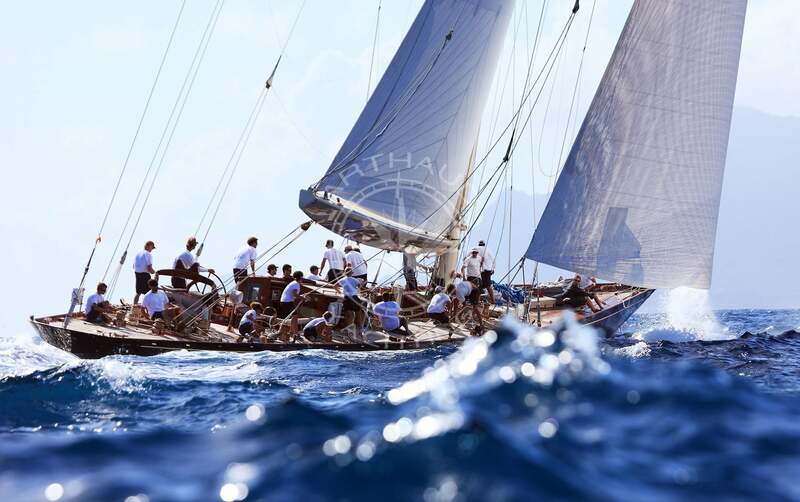 The aperitifs and snacks that will punctuate your stay, the music and all the atmosphere that you want to create for your nautical escapade will be scrupulously respected. Our satisfaction is and will always be yours. The city of Marseille is the tourist destination in the south of France by excellence. Its coasts offer a magnificent view, but not only that, it is also an opportunity to visit historical monuments such as its medieval and Renaissance buildings. The old port, the gate of Aix, the Longchamps Palace, and everything that makes up the beauty of this wonderful city. The city often organises shows in its many theatres and even sometimes in the middle of the street, as well as music festivals, Marseille is a city that is alive day and night. When you go to Marseille, you cannot miss the opportunity to visit the calanques. These rock formations carved by the sea are known worldwide. The calanques welcome 2 million visitors per year, they are magnificent parks that will delight lovers of nature and tranquility. Sumptuous, atypical landscapes that you will remember for a long time, for its beauty and the tranquility that the calanques have to offer. To have a good culinary experience , take advantage of what Marseille has to offer you. Sip a delicious pastis, enjoy a bouillabaisse and enjoy the famous cuisine of the south, sunny and delicious like the region! Marseille will be a beautiful spectacle in itself, if you contemplate it from a rental catamaran, all comfortably seated on a sunbathing chair, with a cocktail in your hand surrounded by your loved ones, what unforgettable memories in the pipeline! 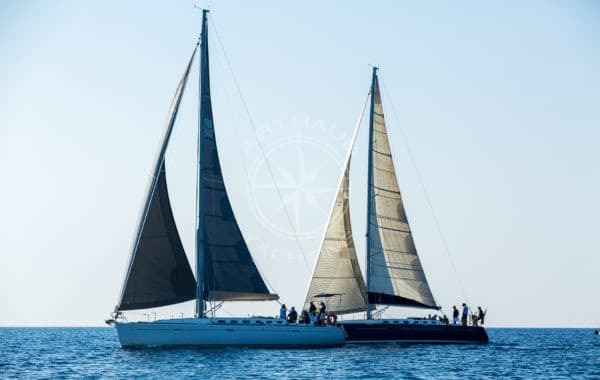 Sailing on the water on-board of your catamaran rental from Marseille, you will have the impression that the sea belongs to you. And it will be the case, you will swim, catch fish, and enjoy its peace and quiet. You will have in front of you a clear and turquoise water that reminds you of paradisiac islands. If you have always wanted to dive, or if you are an experienced diver, you can discover many varieties of fish of different species. The Mediterranean seabed offers beautiful surprises and breathtaking beauty. 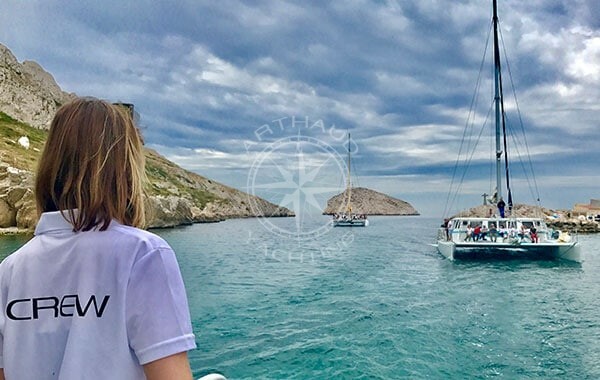 Being able to explore the Mediterranean Sea aboard a catamaran in Marseille is a magical and unforgettable experience. 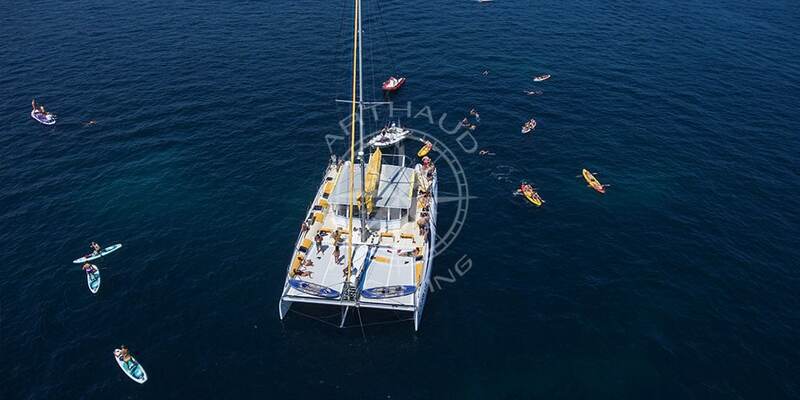 We offer several activities on-board our rental catamarans in Marseille. Activities include water skiing, paddle skiing, wakeboarding, jet skiing, scuba diving, surface and underwater seabobob. 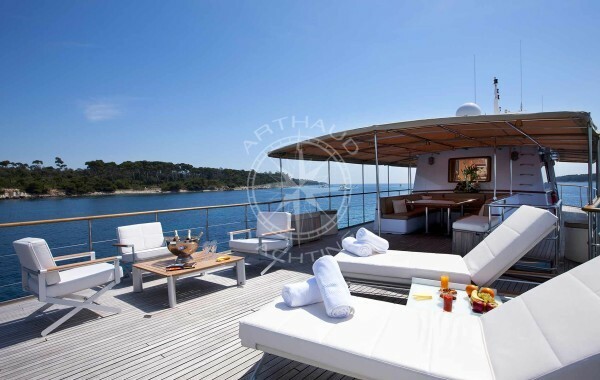 If you prefer to relax and sunbathe, catamarans offer extreme comfort, sun loungers, footstools and other quality nesters. 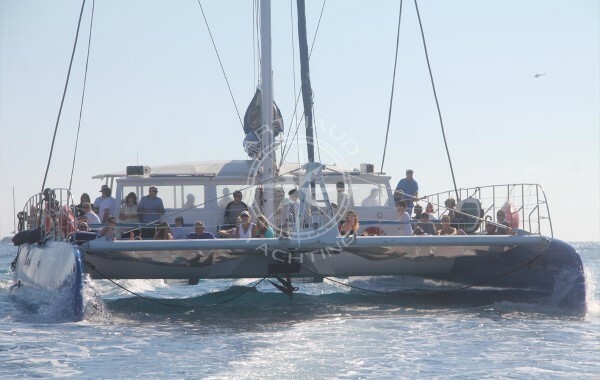 Whether you are looking for a sporting excursion or a total relaxation session, the catamaran offers you its many possibilities so that you can enjoy your stay on-board . Isn’t the ultimate goal to live a personal and unique experience? The crew members are trained to best meet your expectations. 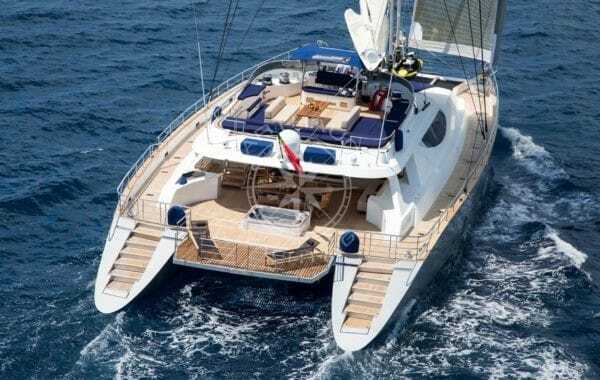 At your side for all aspects of your stay on-board your rental catamaran in Marseille, they will be at your disposal. Feel free to ask them anything, they will answer all of your queries with a smile. We organise your trip from start to finish according to your wishes so that it is as exceptional as possible and leaves you with lasting memories. Tell us about your preferences, your personality, the length of your stay, the activities you want to do, what you want to enjoy and we will do our best to ensure that the result meets your expectations. 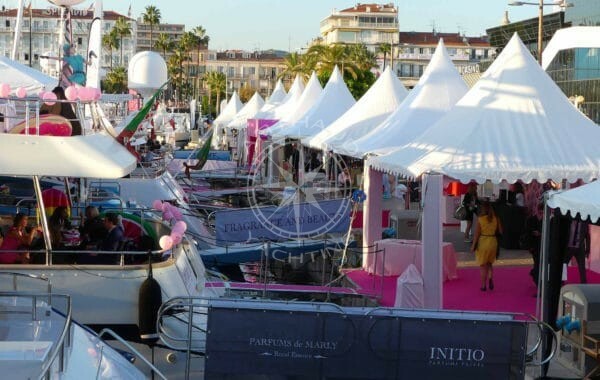 An event to celebrate aboard a catamaran? 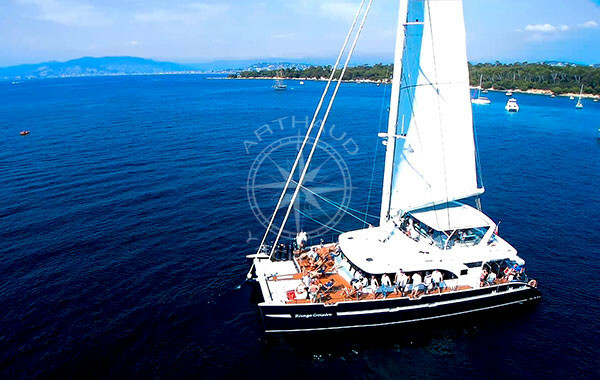 Why not organise it on one of the Arthaud Yachting catamarans? Whether you are on a small or large group, your birthday or special event will no doubt be a success. We can set it up for you. Renting a catamaran is also an opportunity to take your family on holiday and have a quiet rest far from everything. An experience that will please everyone. Looking for a romantic getaway? Here again, we will organise the most beautiful evening with your partner. Marseille is just as radiant at night. You will also be surprised by the calm of the Mediterranean Sea, nothing will disturb your moment. At quayside or at sea, your evening will be punctuated by magic and enchantment! An evening with a DJ, a candlelit dinner, the evening aboard your rental yacht is yours. 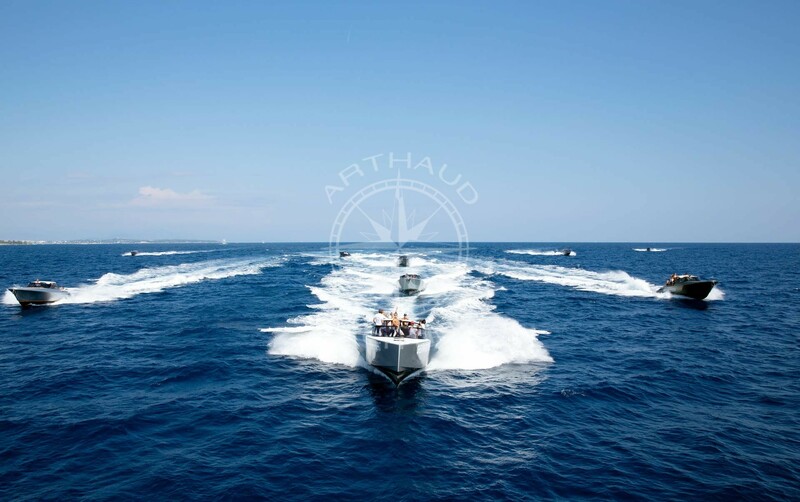 By choosing Arthaud Yachting, you are choosing the values that distinguish us: responsiveness, professionalism and rigour. Let us handle your project and we will offer you the best. 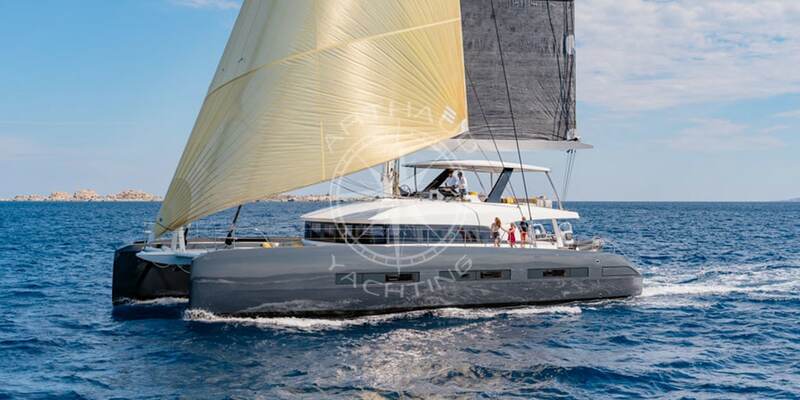 Arthaud Yachting’s expertise is at your disposal to guarantee the success of your catamaran rental in Marseille. 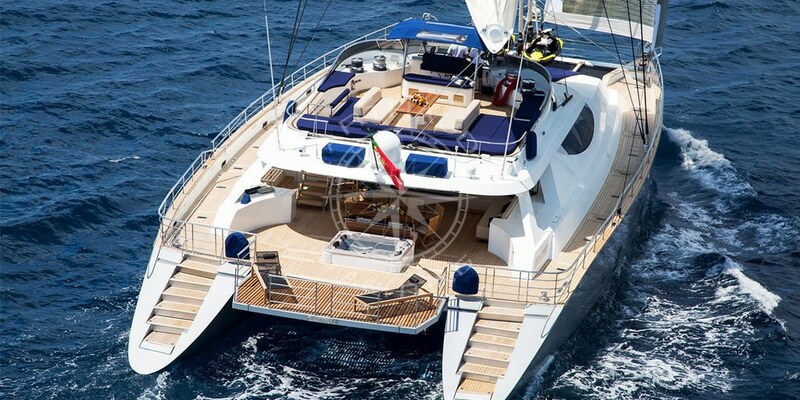 Renting a catamaran is the best way to escape and discover the Mediterranean Sea and Marseille from another angle.